Tucked away in the car park of Finland’s Ministry of Defence is a little known memorial to a little known battle. 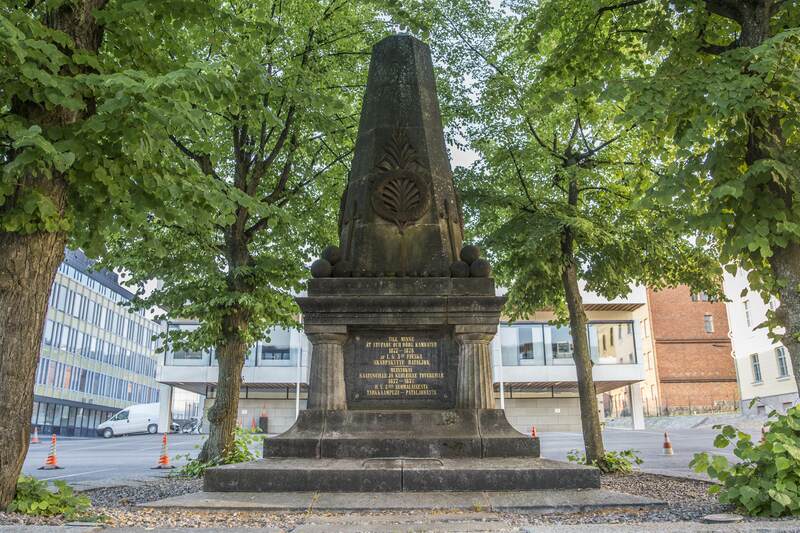 I came across this memorial doing research on the military of the Grand Duchy of Finland. I knew that Finnish troops had seen limited service during the Russian Empire era but wasn’t aware of any large scale battles. So recently I was returning to Northern Ireland to visit family and thought I would see if I could visit the memorial for pictures. However due to not being a Finnish citizen and the area is classified as a military zone, I wasn’t allowed to visit. Gratefully though the Public Affairs Officer offered to send my a USB with pictures of the memorial for me to use. The Russo-Turkish War of 1877-78 is seen by many historians as the most important war between the Russian and Ottoman Empires. The two empires had clashed several times since the formation of the Russian Empire in 1721, as well as numerous times before that. The main reason for their conflicts was the gaining and regaining of territories along each others borders but there was always underlying and secondary factors as well. The 18th and 19th centuries saw the mighty Ottoman Empire in decline due to economic instability, internal insecurity and outside influences. Within the multinational empire, a growing nationalism resulted in several rebellions starting with the Serbian Revolution of 1804-17. By 1875 the Ottoman Empire was in bankruptcy, suffering from famine and strife, and thanks to the abuses of the local leaders, Bosnia and Herzegovina broke out in rebellion. This rebellion started the Balkan Crisis; the Bulgarian Uprising of 1876, the Serbo-Turkish War 1876–78 and Montenegrin–Ottoman War 1876–78. Russia saw an opportunity to gain territory, as well as establishing independent, Pan-Salvic Balkan nations to help secure their southern borders. After some diplomatic maneuvering with the Austro-Hungarian Empire, Russia declared war on the Ottomans on 24 April 1877 and sent a force of 185,000 through the Turkish ruled Principality of Romania. The Ottomans were overconfident and believed that a strategy of passive defence focused around their forts equipped with superior firepower coupled with the stereotype of Russian incompetence would win them the day. It was not to be the case. While the campaign did highlight massive flaws within the Russian military, caused higher casualties and forced the Great Powers of Europe to intervene on side of the Turks, the Russian military succeed in marching to the steps of Constantinople. The end result of the war saw Romania, Serbia, and Montenegro independence, regaining of Kars and Batum (which Russia had lost during the Crimean War) and the establishing of the Principality of Bulgaria. The Russian military quickly advanced through Romania and crossed the Danube, in response to this the Ottoman high command ordered Osman Nuri Paşa to take his force of 15,000 to hold the fortress of Nikopol. Before he could get there though, the fortress had been captured by Russian forces and so Osman redirected his troops to the town of Plevna. He knew the small rural town set within a deep rocky valley would be on the route of the advancing Russians and so set about making the area defensible. Almost overnight the area was turned into a formidable redoubt, covered in trenches, earthworks and gun emplacements. General Yuri Schilder-Schuldner of the Russian 9th Division had been ordered to take his 9,000 strong division to take the town of Plevna. When he arrived on the evening of the 19th July he saw the impressive defences arrayed before him and told his guns to begin their bombardment. The morning of the 20th July saw the beginning of a 5 month siege that dragged in approximately 200,000 soldiers and resulted in the deaths of over 55,000. By the end of the summer, the Russians had concluded that the town would not fall through means of forced frontal assaults. With this in mind, a new strategy of encirclement and cutting off the chains of supply was enacted. This meant that the surrounding towns and villages needed to be brought under Russian control. One of these was the village of Gorni Dubnik. 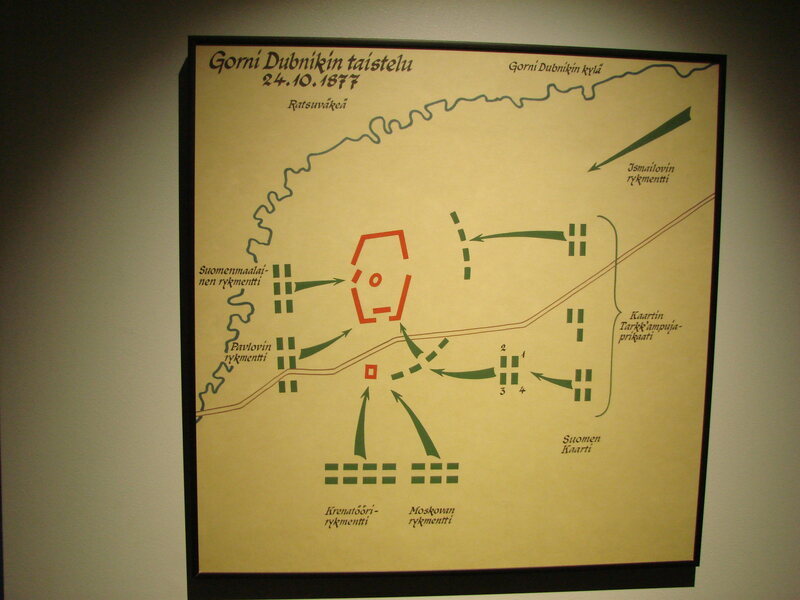 Gorni Dubnik was a small village which lay on the road between Plevna and Sofia and thus made it a crucial communication line for the Turkish forces besieged in Plevna. Ahmed Hifzi Pasha and his force of 7,000-10,000 men had built up a strong defence with two redoubts encompassed with numerous entrenchments and had orders to hold at all costs. 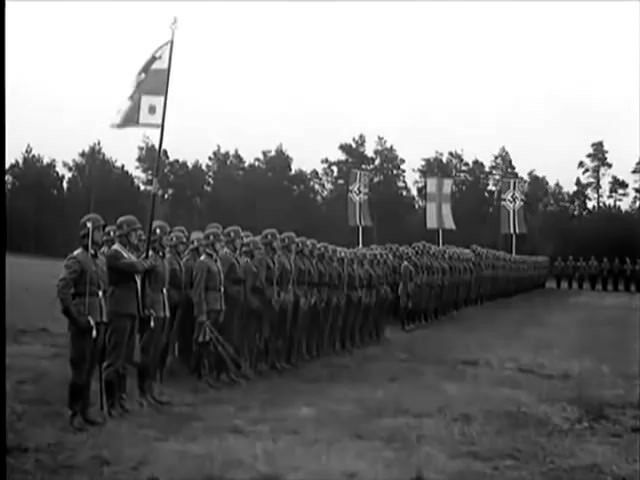 The Russians brought some 20,000 troops with them, including the Finnish Guards' Rifle Battalion, under the command of General Iosif Vladimirovich Roman-Gurko. 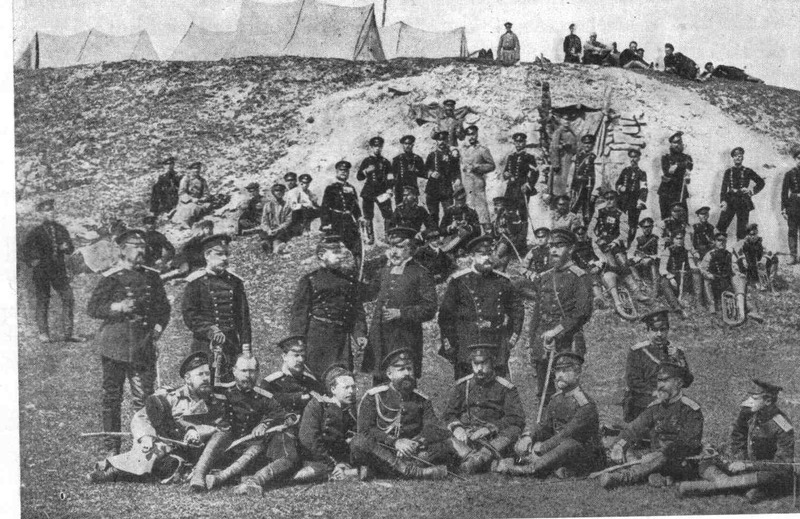 General Gurko planned the attack to strike from three sides, the north-east, east and south-east, with the advance starting at 7 in the morning of the 24 October 1877. The Finnish Guards’ were part of the north-east advance and engaged the enemy soon after. The engagement was bloody and the Russian forces, which preferred the Suvorov doctrine of Cold Steel over long range rifle fire, saw their casualties mount. However by 3 in the afternoon, the decisive attack was launched, with all forces pushing against the main redoubt. The battle became so intertwined by the two opposing forces that the Russia guns were forced to cease fire for fear of hitting their own men. After a viscous assault by infantry and a heavy close range cannonade, the white flag was hoisted over the burning garrison at 6 in the evening. The battlefield had claimed over 850 Russian lives and over 1,000 Turkish lives. For the Finnish Guard, they had suffered 22 dead and 95 wounded (two of the wounded died soon afterwards). During the battle they had fired some 1,850 shots and had advanced all the way to the redoubt. This first blooding for the Battalion had a profound effect upon not only the unit but upon the Finnish nation as a whole, who held the battle up as an example of their loyalty to their Emperor and of the bravery of the Finnish people. The Battalion saw itself used in a handful of minor engagements after that, even making its way to San Stefano by the end of the war. Due to their sacrifices, bravery and loyalty, the Emperor promoted the Battalion to the status of the Old Guards. On the fourth anniversary of the battle a memorial was unveiled in the courtyard of the Guards’ barracks. 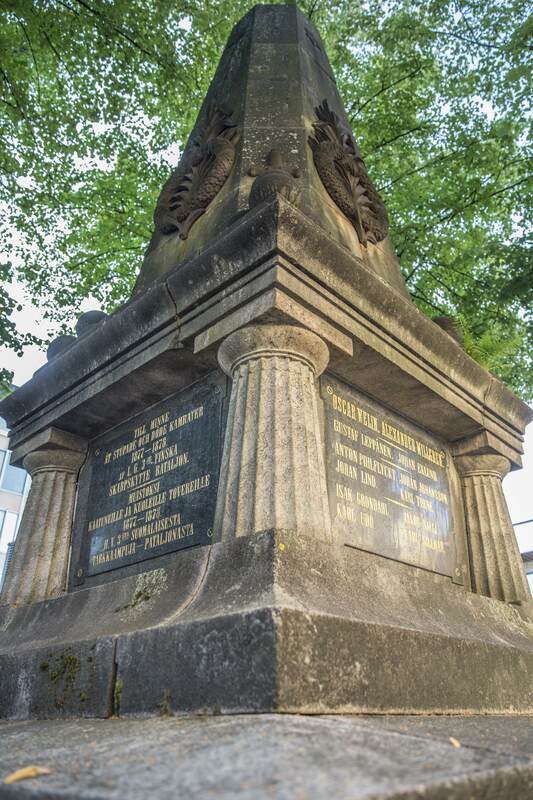 The work of Finnish Swede Frans Anatolius Sjöström, it was placed as a monument to those who gave their lives during the war but also as a place to celebrate the courageousness of the Finnish Guard. On the memorial is the names of 27 of the fallen (some died from a later Typhoid fever epidemic) and sees a wreath laying twice a year, on the anniversary of the battle and Liberation Day, Bulgaria’s national day, 3rd March. Unfortunately the site is within the courtyard of the Ministry of Defence and as such is a military area. This means it is a restricted area, so please don’t attempt to visit without seeking permission from the Ministry beforehand. 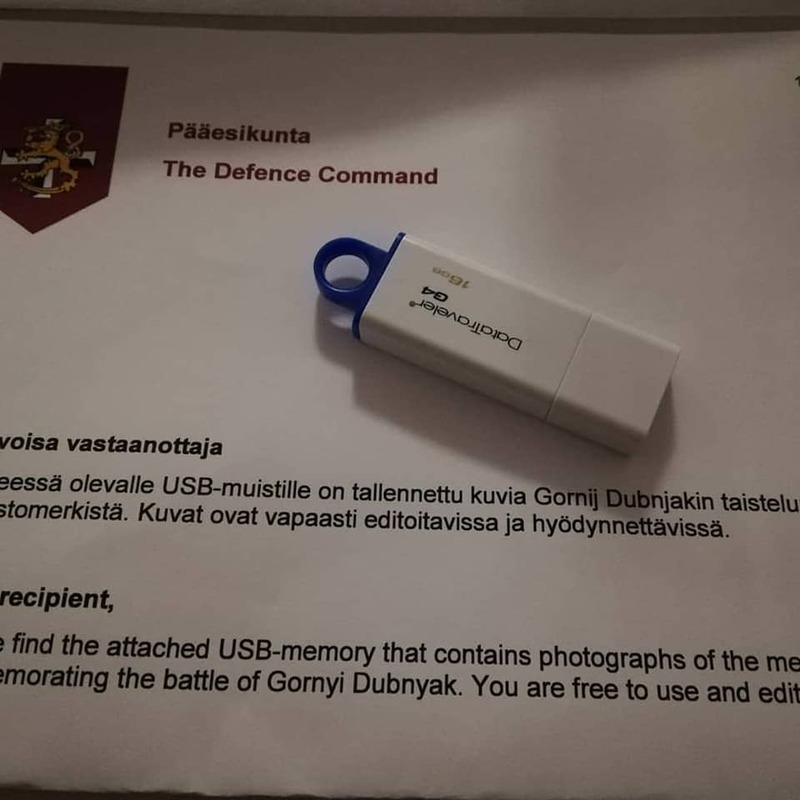 A special thanks to the puolustusministeriö public affairs team for answering my email and providing a USB with the pictures. Recently I was in Tampere for work. I found myself with a few hours free before I needed to get the train back to Oulu and so I decided that what best way to use my time would be to explore the city for memorials. With this task in mind, I did some quick searching and found out where an interesting memorial to the Red Guard is placed. During the upheaval in the Russian Empire during 1917, many paramilitary groups formed to protect certain interests. Finland was not immune to such political uncertainty and with a World War raging, numerous strikes took place across Finland to protest the many shortages the people were suffering from. Unfortunately, where there is protest and strike, there is also violence and soon clashes between various groups ensued. In light of this, numerous Workers’ Guard were formed throughout the country. The Pispala Red Guard mobilized at the outbreak of the Civil War on the 28th January and while the Fire Station come Headquarters was being turned into a strongpoint, men from the Pispala Red Guard went to fight on the front lines of Ruovesi. Pispala men were also present for the battles of Vilppula, Eräjärvi, Kuhmalahti and Ikaalinen. When the White Forces encircled Tampere and the battle opened up upon the city, the Pispala Red Guard took main responsibility for the Western line, with Aatto Koivunen taking overall command. Under Koivunen’s leadership, the Western Line was reorgaised and turned into a strong defensive point. From the 26th of March, White Forces attacked the Western Line with artillery and infantry assault in an effort to break through but the line held with few losses whilst the Whites suffered heavy casualties. As the main city of Tampere fell in early April, Pispala was still holding out and the area became choked with refugees and falling back Red Guards from other areas. 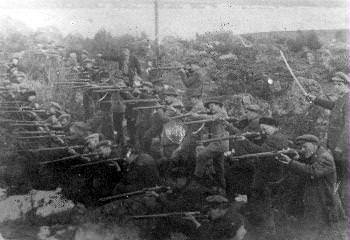 The fighting was so fierce that even the Women’s company took up arms to help add weight of fire from the ridges and trenches. On the evening of the 4th April at the Pispala Workers’ Hall, it was decided that an attempt would be made to break out from the encirclement across the frozen Pyhäjärvi lake. By the morning of the 5th around 400 individuals had escaped and joined up with the Red forces at Vesilahti. Another break out was conducted on the evening of the 5th April, upwards of 700 people took to the ice, led by Koivunen, as well as some of the other Red leaders and headed north. They evaded the White forces that were along the banks of the Näisjärvi and joined up at Vesilahti. On the morning of the 6th, White Forces launched a devastating assault against the remaining Red Forces, in light of this, as well as having few commanders left, those left in charge decided it was better to surrender. At 0830 a white garment was attached to the flag pole at Pyynikki tower and the fighting died down. 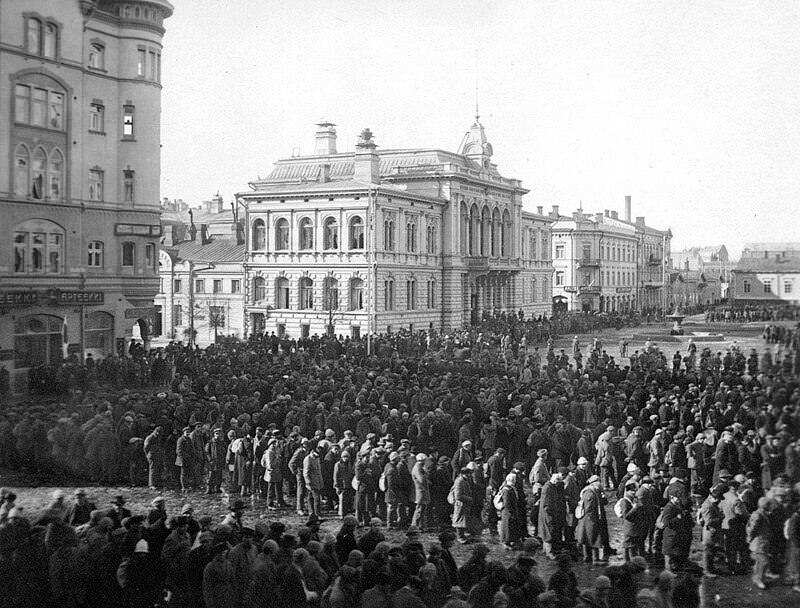 In the aftermath, the remaining Pispala Red Guard, along with about 10,000 others, were marched to the former Imperial Russian Barracks, which now served as a Prison Camp. In the years after the end of the Second World War, many Finns wanted to help put into memory the sacrifices of their ancestors, regardless of their allegiance. Across the country many memorials were erected in memory of those who had fought and died for the Reds during the Finnish Civil War. 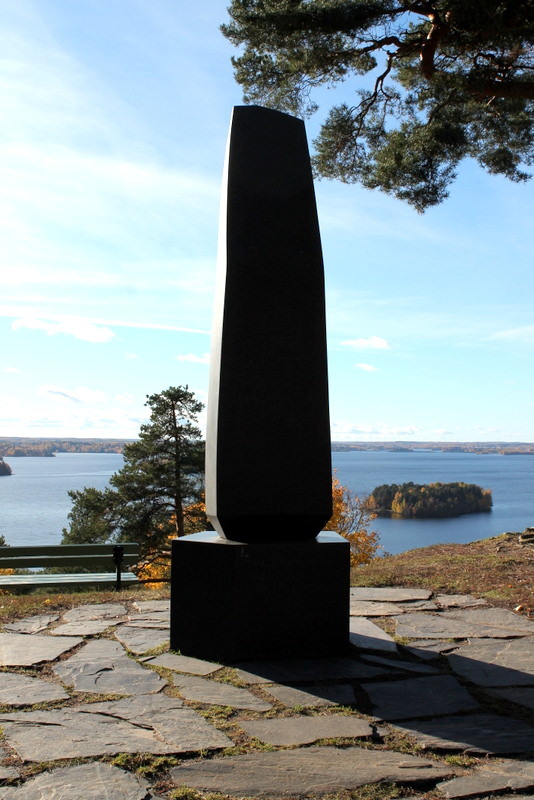 In 1982 a black granite sculpture was unveiled in a small park overlooking Pispala and the two lakes of Näsijärvi and Pyhäjärvi. The work of Merja Vainio, she had won the competition put out by the Pispala Red Guard Memorial Association. The simple momument is designed to immortalise the bravery and stubbornness of the Pispala Red Guard, that held the Western line for 12 days without collapsing. 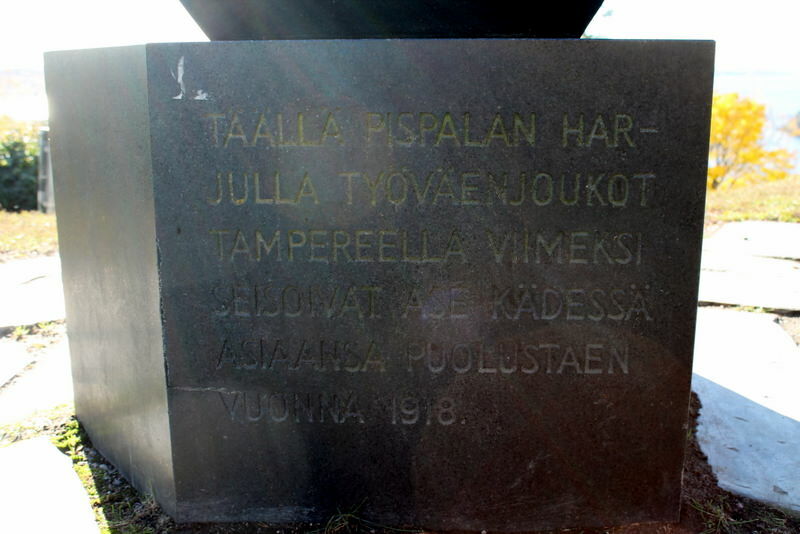 "Täällä Pispalan harjulla työväen joukot Tampereella viimeksi seisoivat ase kädessä asiaansa puolustaen vuonna 1918"
"On this Pispala Ridge the red guard in Tampere last stood with weapons in hand defending their cause in 1918"
“No one knew what would happen when they rammed the artillery shot into the rear of the canon, locked it, and pulled the rope hanging from the back, but the challenge was too intriguing to resist. After the Franco-Prussian War of 1870-71, the French military decided to look at the reasons for their failure against the armies of the North German Confederation. One of the reasons pointed out by this self assessment was that the Prussian Krupp C64 steel, breech-loading 8cm cannon was vastly superior to their muzzle loading bronzed cannons. Not only did these cannons have a higher rate of fire (3 to 4 rounds per minute compared to the French’s 2), but they also out ranged them by a significant amount (with an effective range of 3.4 km compared to the French’s 1.6 km). Director of the "Atelier-de-précision" (Paris arsenal's precision workshop), Colonel Charles Ragon de Bange, produced a prototype 90mm breechloading fieldgun based around his De Bange breech obturator system, in 1877 and presented it to the French artillery committee. Only two years previously the French military had adopted the Lahitolle 95 mm cannon as their official field gun, being all steel and breech loading, it was in line with the requirements of the French artillery. However, it was inferior to de Bange’s prototype in weight, rate of fire and range and so the military decided that it was to replace Lieutenant Colonel Henry Périer de Lahitolle’s gun. The de Bange 90 mm cannon (Mle 1877) started to replace all other Field Guns in the French artillery and saw service in France’s overseas conflicts. However, it suffered from one fatal flaw that almost all guns of this era did, it had no recoil mechanism and as such it needed to be re-laid after every single shot, causing a loss in fire time. De Bange’s era of French artillery dominance ended on the 28th March 1898 when the Matériel de 75mm Mle 1897 was adopted for service. As the 75 was coming to artillery units, the De Bange 90mm was put in storage for emergencies that France hoped would never come. When France went to war again in August of 1914, it did so in a much better position than it did during the War of 1870. However by the end of the Battle of the Marne in early September, the French losses in material were of such devastation that those old artillery guns in storage had to be hastily cleaned up and deployed. By the end of 1914, around 100 batteries, mainly fortress artillery and other defensive units, were formed. As more and more modern guns were constructed, these old reliables were put back into storage but at almost 4,000 built and there usefulness, they still saw themselves in French reserves when war broke out again in 1939. 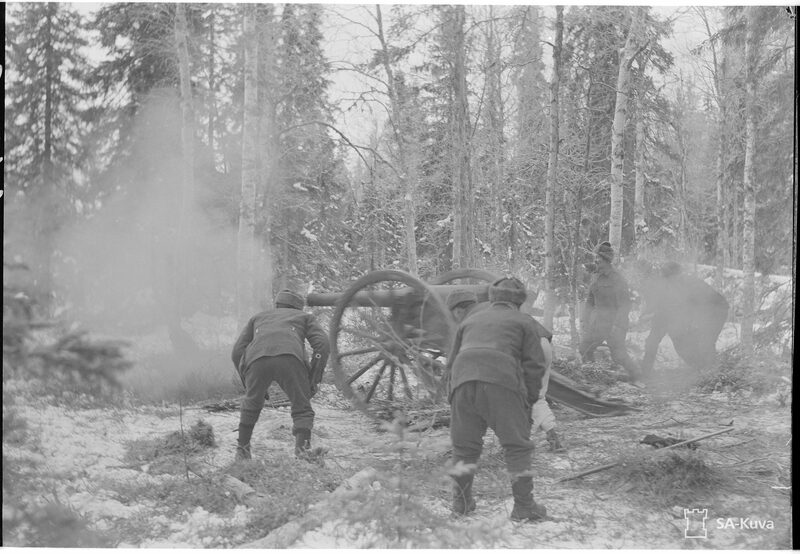 When the Soviet Union crossed the Finnish border on the morning of the 30th November 1939, the Finnish Artillery corps had only had 700 gun of various types, calibers and age. 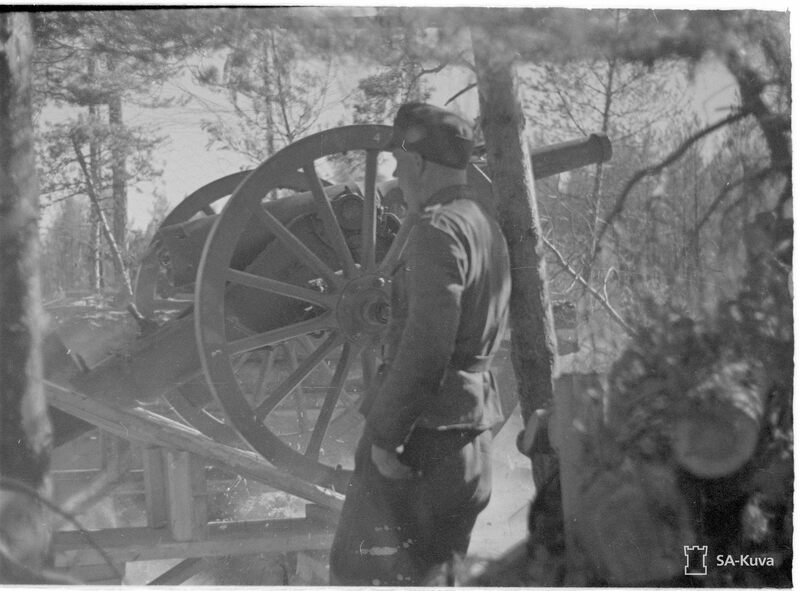 Against the initial invading Soviet force of 4 Army groups (23 Divisions) with around 2,800 artillery guns of various types, the Finns were hopelessly outclassed and scrambled to beg, borrow and buy anything that anyone would offer. France had been a big initial supplier of the Finnish military during its opening days, providing Renault FT Tanks, military advisers and other military equipment during those early, turbulent times of Finland’s independence. 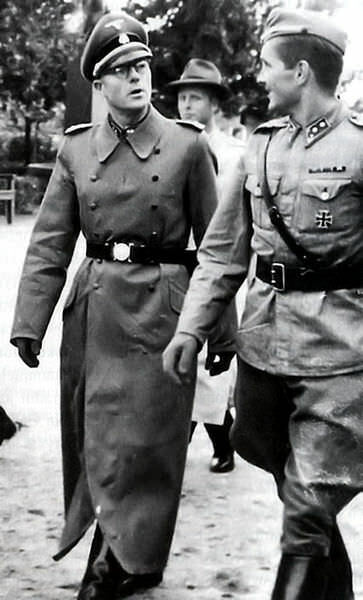 As the Soviet troops took Finland land, Finnish diplomats turned to their French counterparts in order to see what France could offer in regards to support. France was reluctant to part with their more modern equipment, for they had only declared war upon Nazi Germany two months prior and was in the midst of mobilizing its military. However, they had vast stores of older, pre 20th and turn of the century material, including the Mle 1877. 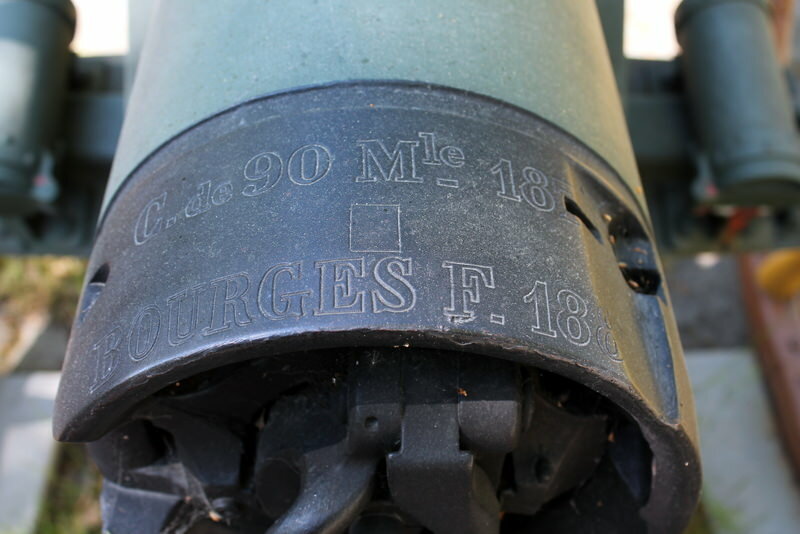 France agreed to donate 100 of these old 90mm pieces, with 10,000 shots, but now stumbled across the issue of how to transport them to Finland. As France and Nazi Germany were at war, the fastest route of overland to a Baltic port and shipped to southern Finland was not an option, also the Danish straits were now closed off due to mines from both Denmark and Germany and even if that wasn’t an issue, French shipping would be very vulnerable of attack by German shore and naval units. The only viable option left was the long ponderous journey to Narvik in Norway, from there the guns would be loaded onto trains and taken through Norway and Sweden to Finnish border of Haparanda/Tornio. Here the trains were unloaded and reloaded to Finnish trains due to a difference in the rail gauge and then they would be taken to depots for checking and distribution. Because of the circuitous route the majority of these much needed guns failed to arrive in time. However between 24 and 34 (the numbers vary according to sources) of the de Bange 90 mm cannon (Mle 1877), now redesignated 90 K/77, were issued to training and reservist artillery units before the armistice of the 13th March 1940 came into affect. Despite some seeing deployment on the Karelian Isthmus, one major issue prevented their full usage. The guns arrived stripped bare of many of the accompaniments an artillery guns needs in order to be fully utilized. The lack of any goniometers or clinometers meant that the standing orders were that the guns were for direct fire only but some enterprising tykkimiehet (artillery men) worked out how to use their military compasses to at least give some degree of accurate indirect fire support in those fateful final days of the Winter War. As the war ended, many of these guns were still in transit to Finland but the French did not recall these gifts but some were still at various stages of transport when the Germans invaded Norway on the 9th of April 1940. 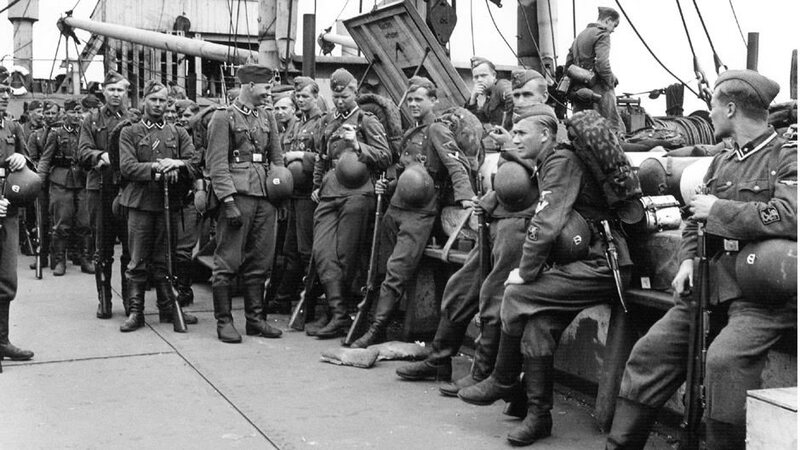 However, the Germans allowed the rest of France’s military material to arrive in Finland during the Summer months of 1940, after negotiations with both Sweden and Finland. With the Peace treaty with the Soviet Union, Finland had a new border, one that was longer and had less natural defences and so the Finland’s Commander-in-Chief Marshal Mannerheim ordered the construction of a new defence line stretching from Petsamo on the coast of the Barents Sea to the Gulf of Finland, near the new border. This defensive fortification, named Suomen Salpa (or more commonly Salpalinja), needed forces to man in and so the Suomen linnoitustykistö (Finnish Fortress Artillery) was formed. This new corps was part of the Artillery corps and similar to the Coastal Artillery (indeed some Coastal Artillery units were remade Fortress Artillery batteries). 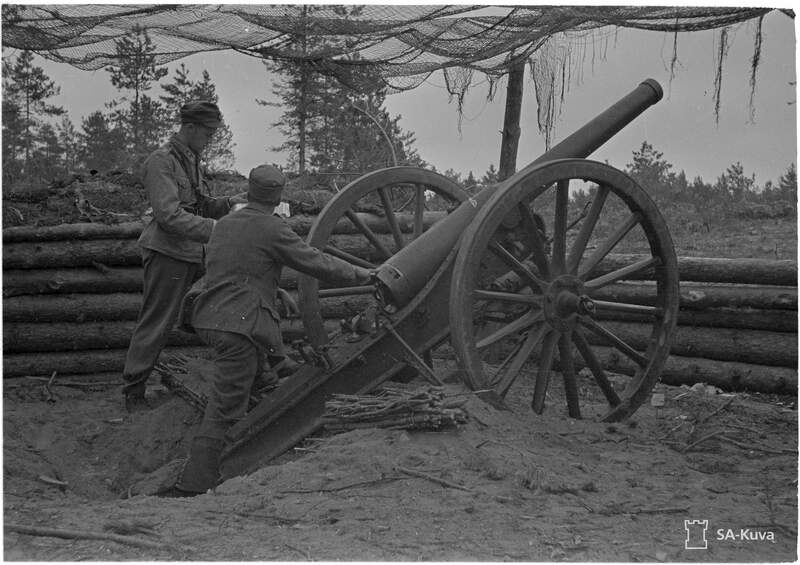 Ten Linnoituspatteristo (Fortress Artillery Battalions) were equipped with the 90 K/77 (No. 4, 5,6, Niemi, Maaselkä Fortress Artillery Battalion 1 & 2, River Syväri Fortress Artillery Battalion 1,2,3 & 4), the static nature of the line meant that the guns were able to be used more effectively. 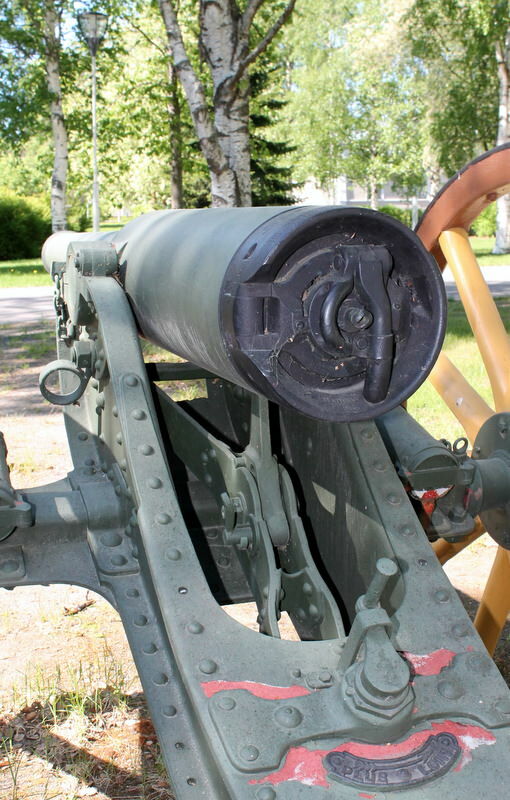 When Finland marched once again to war in the end of June 1941, because of the quick offensive and Soviet retreat, older guns like the 90 K/77 were left behind. When the Finns settled to a defensive posture in December 1941 and a 3 year period, known as the Trench War, came into being, several 90 K/77s were brought up to the defensive lines at Syväri and Maaselkä. Here, these guns, alongside others, would be used to help support the troops in holding back the Soviet forces. When the tides turned in favour of the Soviets afters the German failures in Stalingrad and Kursk, it was only a matter of time before Soviet forces launched an offensive against the Finns in Eastern Karelia. In June 1944, the Soviets launched their Summer Offensive against the Finns using overwhelming numbers. 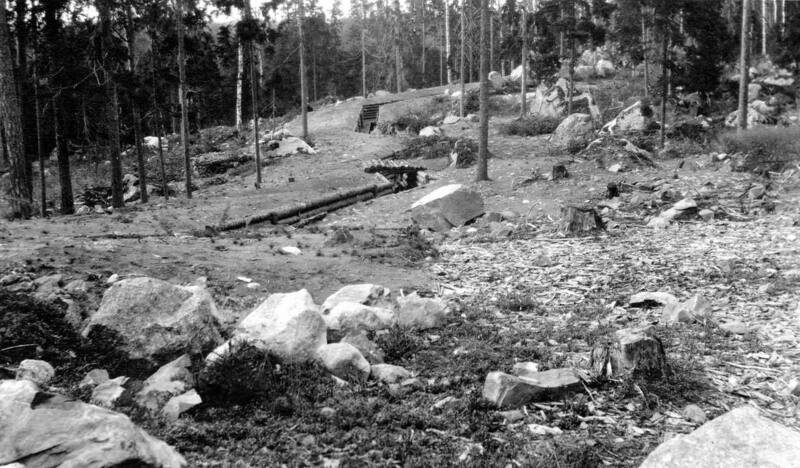 The sheer numbers of Soviet men and equipment pushed the Finns back towards the 1940 border day after day, in this retreat many hundreds of pieces of Finnish equipment were left behind through lack of transport or just through the lack of ability to holdout long enough. 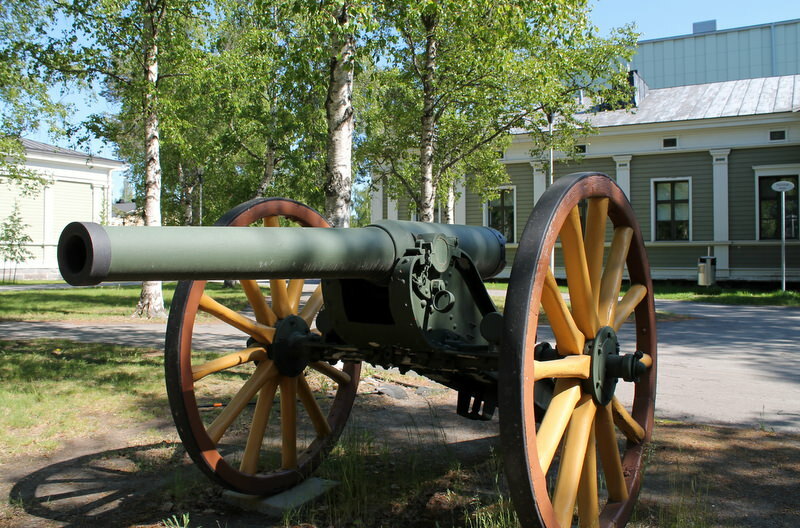 The 90 K/77s of the River Syväri Fortress Artillery Battalions came into action during the offensive on the U-line on the 21st June and after firing hundreds of shots the order was given for them to pull back. Unfortunately, 8 of the guns had to be abandoned due to various reasons. This would be the last shots of the 90 K/77. There service still wasn’t over though. A number of these guns had been fitted to special fixed emplacements to serve better as fortification or coastal weapons. 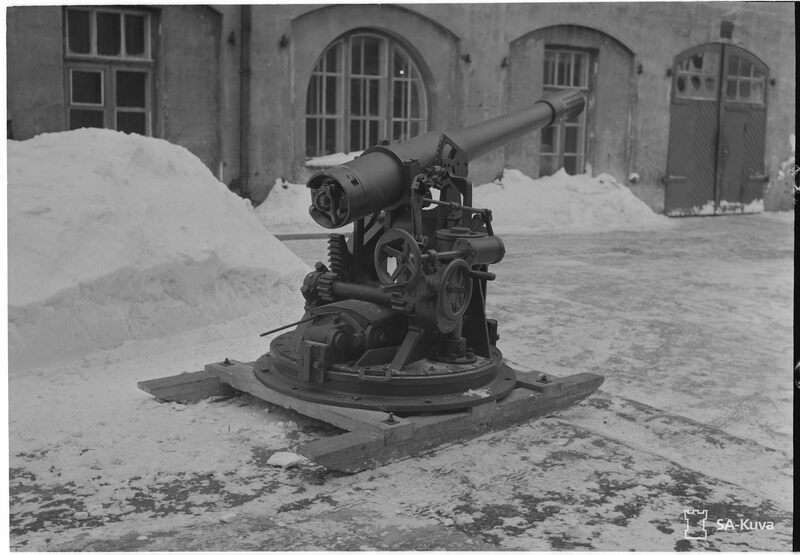 These saw some modifications to better suit them to this role and eventually 15 or 17 guns of the newly designated 90/25-BW guns were serving in the Finnish military until being retired in 1964. With an almost 100 year service life, the de Bange 90 mm cannon was certainly an interesting weapon. Born out of the necessity by a loosing state, it fought in the War to end all Wars, and through necessity it was used by another loosing (albeit brave and hardy) state to best of their ability to fight off a vastly superior enemy. I enjoy visiting graveyards, seeing the history and wondering the lives they lived. It is also a place to pay respects to our ancestors and those who sacrificed their life so we can live ours. 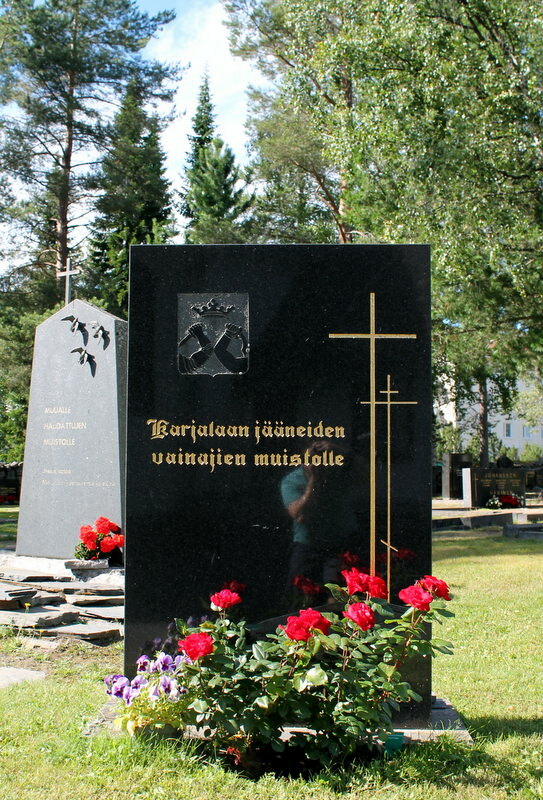 In Finland many gravestones have a badge or two added to it, normally next to the name of the individual. 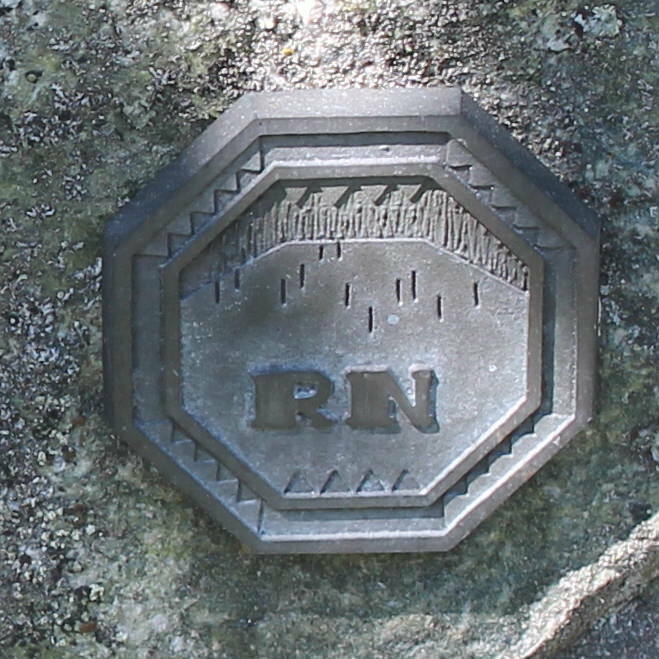 It isn’t uncommon in Finland to have some kind of marker upon a gravestone. There are numerous ‘badges’ for belonging to certain religious groups, organisations and just general markings like flowers, birds and angels. There is however another grouping of markings, one that is honoured and marks the holder as a hero of Finland, these are markings relating to Finland’s Wars. There are many different types of badge, each meaning a different thing, whether it be to show the individual was a Frontline Soldier or a member of the Sotilaspojat (a youth organisation that helped on the home front). It is a way for allowing the following generations to remember and give credence to that ancestor. 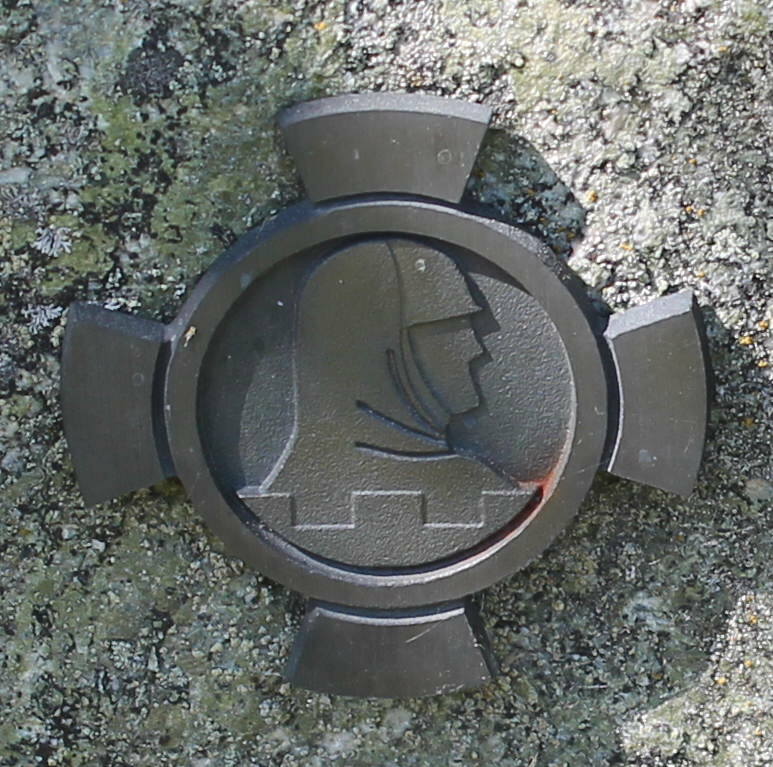 These are several of the more common memorial markers found upon graves in Finland. 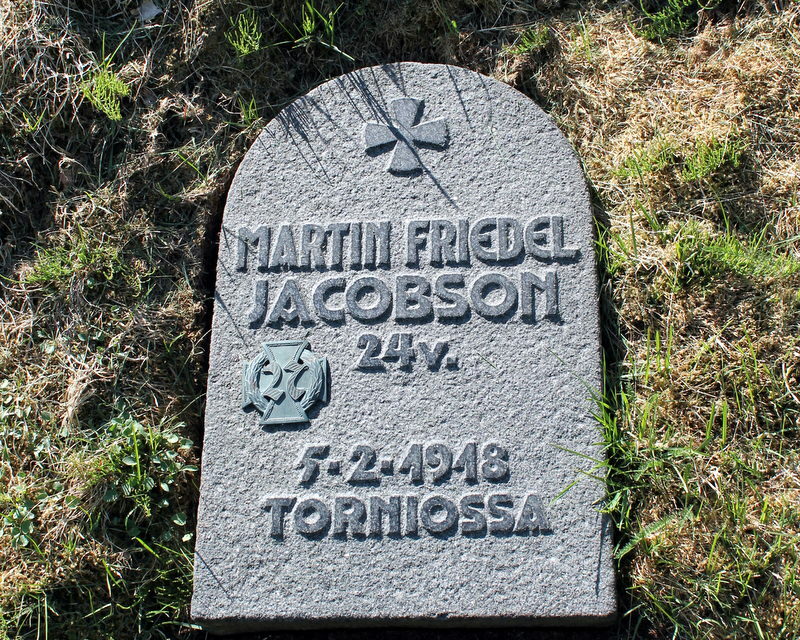 The grave of Jääkärimajuri (Jäger Major) Martin Friedel Jacobson, who was one of the first Jääkäri to fall during the Finnish Civil War. 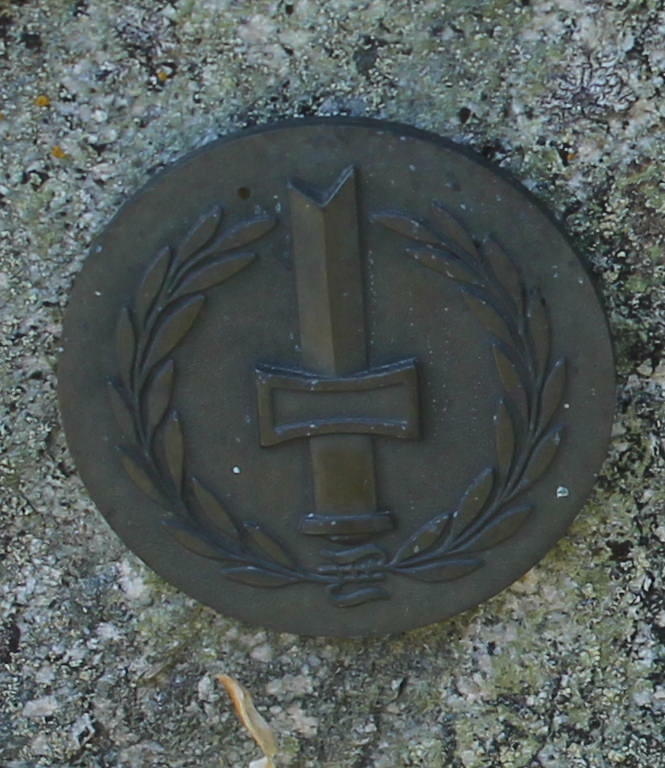 You can clearly see the Jääkäripataljoona 27 (27th Jäger Battalion) emblem that is granted to all members of the 27th upon their graves. 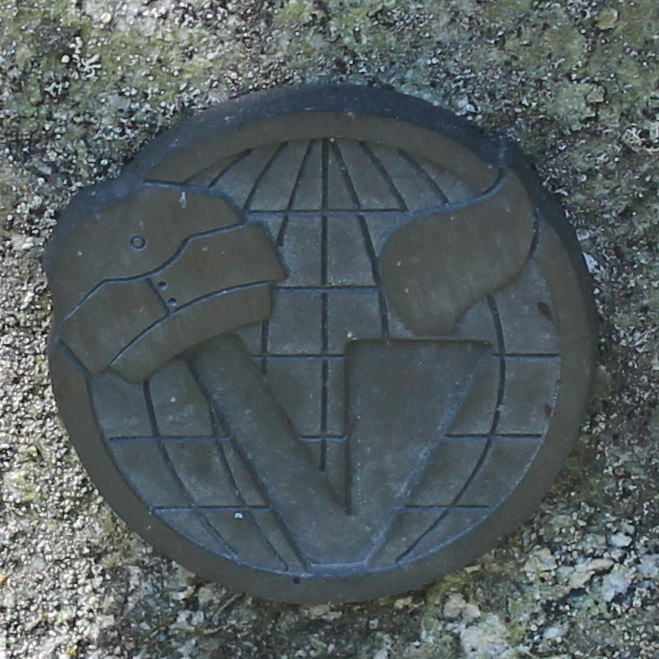 Vapaussodan Muistomitali (Memorial medal of the War of Liberation). 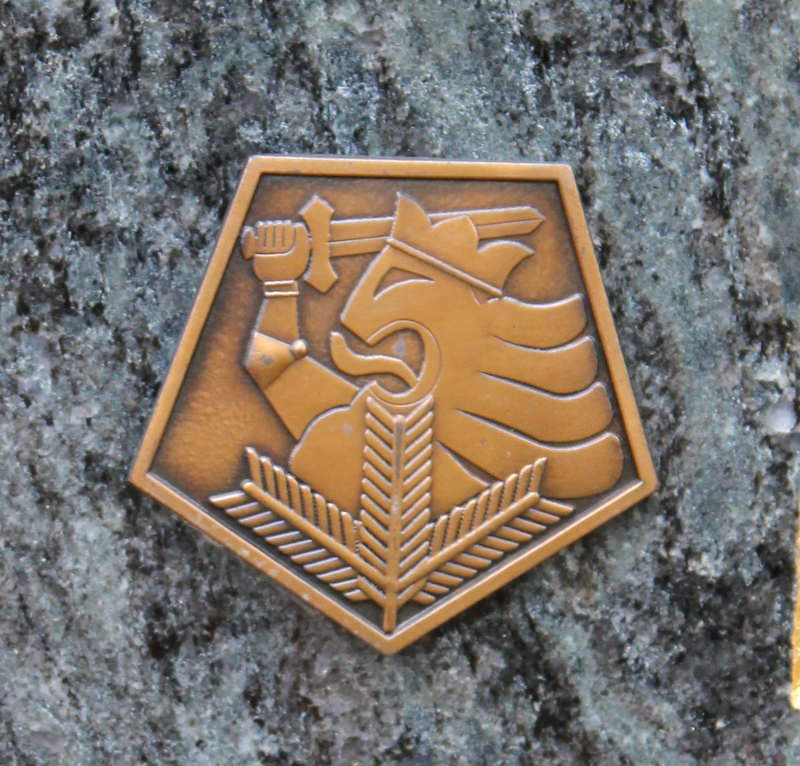 This is awarded to those individuals who had served in the White forces during the Finnish Civil War. The Suomen Sotaveteraaniliiton Muistomitali (Finnish War Veterans Union Memorial medal) adores many a grave of veterans of the Winter, Continuation and Lapland Wars. By the end of the Second World War over 200,000 Finnish War veterans had become wounded in some capacity. Some had been wounded so bad as to need treatment for the rest of their lives. 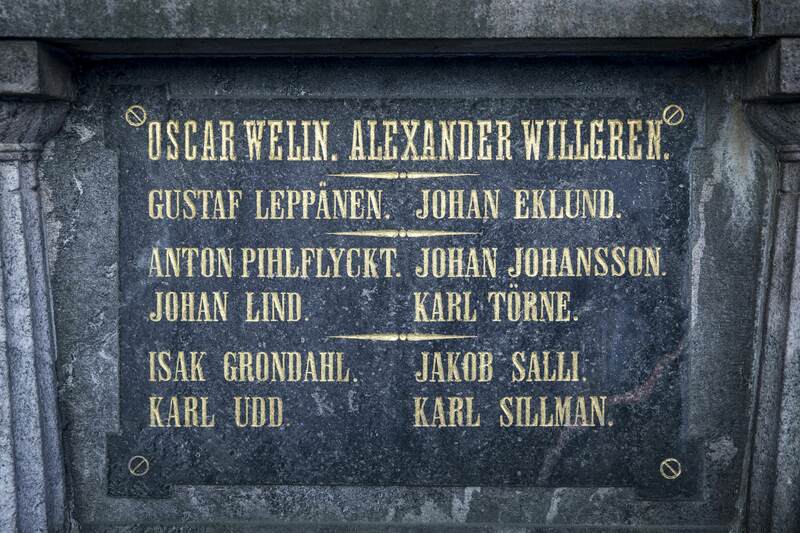 These individuals may seen their headstone decorated with the badge of the Sotainvalidien Veljesliitto badge (War Wounded Union). Many of Finland's nearly one million men under arms served in the front line. Under such trying conditions as holding back a vastly supeiror enemy force, they performed their duties in a heroic manner. As such, those men are entitled to the Rintamaveteraaniliitto (Front Line Union) badge. It wasn't just men who served within the vicinity of the front lines. 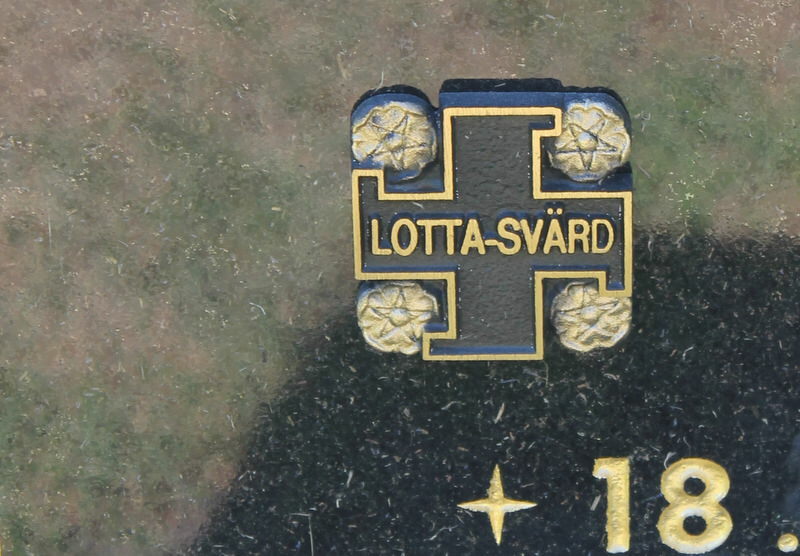 According to the history of the Lotta-Svärd, around 2,700 women served as nurses, medics, doctors and auxiliary work duties within the front. These brave women see their graves marked with the Rintamanaisten Liitto (Front Women Union) badge. The Lotta-Svärd was a women's auxiliary that provided support for both the Protection Corps and the Finnish Military. Over 250,000 women served in the organisation from its founding in 1918 to its disbandment in 1944. Those women who served within the ranks are allowed to have the mark of the organisation embedded upon their headstone. The Suojeluskunta was a male auxiliary paramilitary, similar to the Home Guard of the UK. They also had a youth branch, Sotilaspojat, which saw boys from 12-17 trained to perform duties such as forestry, delivering messages, collection waste materials for recycling, and even guarding areas like bridges. 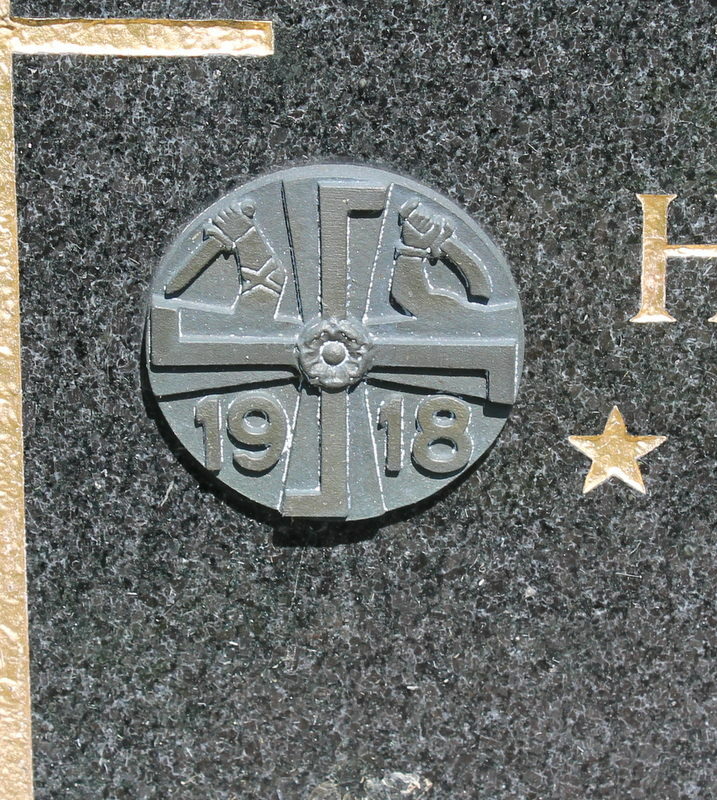 For those young volunteers, they are allowed to display their service with the emblem of the Sotilaspojat on their headstone. The Lotta-Svärd also had a youth organisation, Pikku Lottat, which allowed girls from ages 8-16 to help to the Lotta-Svärd. During the more intense periods of the war, some of the Pikku Lottat were helping in war hospitals and garrison canteens. 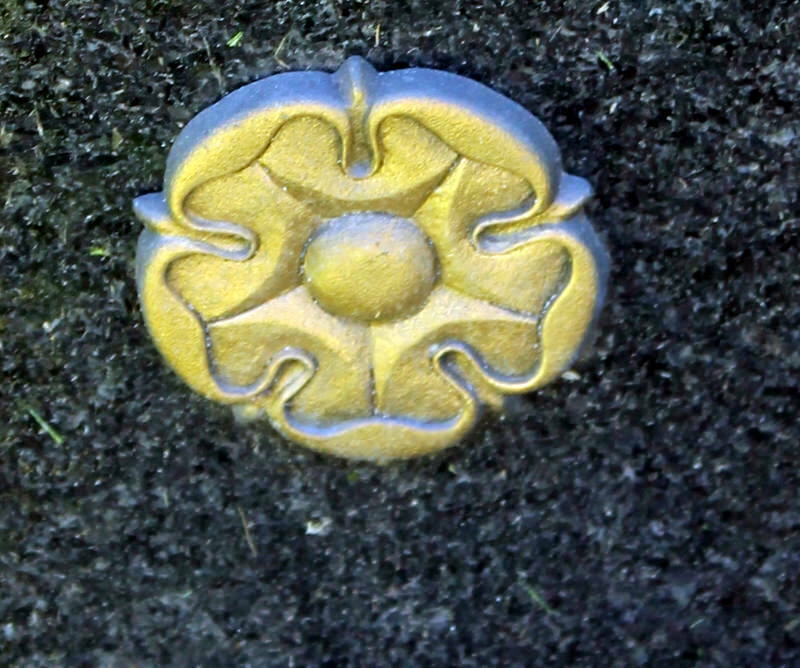 When they die, former Pikku Lotta are allowed to show their contribution by a Finnish Rose, the symbol of the Pikku Lotta. 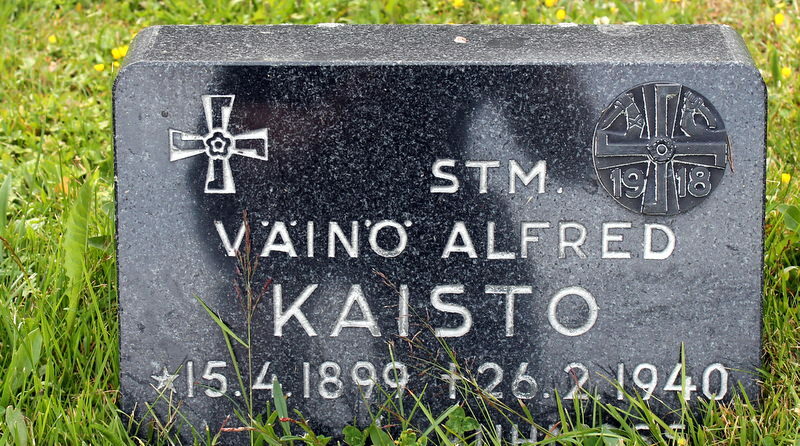 For soldiers who fell in battle and buried within the Heros Grave, their headstone is marked by the Vapaudenristin ritarikunta (Order of the Cross of Liberty), more specifically the Sururisti (Cross of Mourning). Above we see two different badges. 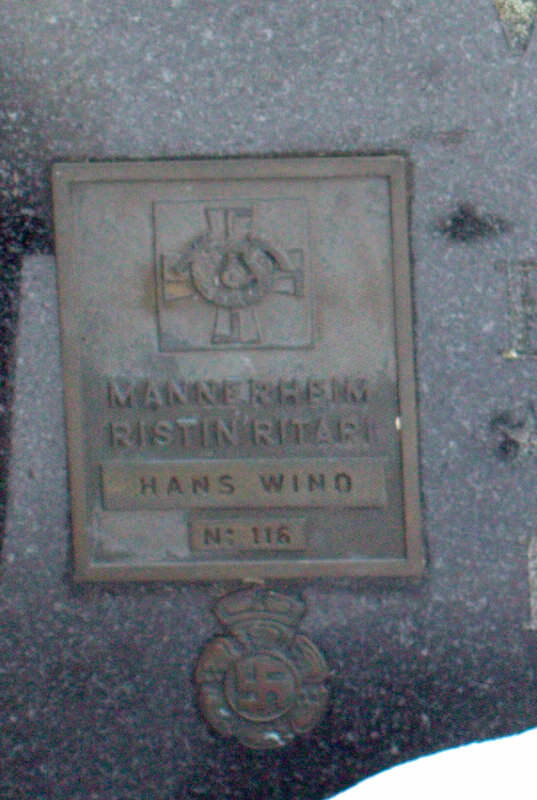 Winners of Finland's highest military award, Mannerheim-risti (Mannerheim Cross of Liberty) are given a plaque like the one above which tells the number of the award and name or like the example below which is a stylised Mannerheim Cross. Above we can also see the mark of the Finnish Air Force and all pilots have the honour of displaying this coveted badge upon their headstone. There is probably a few badges I have missed, like the Suojeluskunta, but this is down to not having come across them. I will probably come back and visit this topic in the future. In the summer of 1589 the town of Kandalaksha was burning, in the distance a column of rugged Finns were marching towards their next target, the town of Kem, at its head was the soon to be legand, Pekka Vesainen. Due to the times and area, little concrete information exists regarding Pekka Vesainen. It isn’t known when he was born but he does appear in Swedish documents (Finland was part of the Swedish empire at this time) in 1563 under the name Petr Vesa. There is conflicts as to where he is born, with some claiming he was born it Utajärvi, while the more popular theory is he was born in Vesala, in what was then part of Ii. His family is also a mystery, but the legends state he had a wife and 7 children. In the 1571 tax lists, he is known to have one horse, four cows, four bulls and four sheep, a modest holding for those in the same area but it is thought (due to Swedish Crown Accounts) that he was an assistant Lay Judge in the Municipality of Ii. It is thought he died in 1627 in the same house that he had lived in his whole life. Outside of this, not much else is known of his life, a lot is attributed to oral legend and isn’t confirmable. The Kingdom of Sweden and the Tsardom of Russia, and as well as their predecessors and successors, found themselves in various conflicts over the territories than now make up Finland, Estonia, Latvia and Russia. Between 1570 and 1595, a 25 year long conflict, known as Pitkä Viha (or Long Wrath) in Finnish, took place that heavily affected Finland. Johan III of Sweden and Ivan Vasilyevich of Russia (more commonly known as Ivan the Terrible) came to blows over demands between the two nations, after Swedish ambassadors were arrested in Novgorod, demands for Swedish silver mines to be handed over to Russia and the reveal that Ivan’s granddaughter was promised to Danish Prince Magnus av Ösel (Sweden was currently at war with Denmark) and who had been promised the crown of Livonia; Conflict broke out. Russian and Danish troops marched on to Reval (Modern day Tallinn) and laid siege to the Swedish garrison there in August. After numerous assaults, two Swedish ships breaking through the blockade with much needed supplies in September, an outbreak of plague in 1571 and the conclusion of Peace with Denmark in February, the siege was lifted in March, and Prince Magnus was forced to retire his forces. The conflict ebbed and flowed throughout the two nations, with both sides gaining advances and loosing gains as is the normal way in war. In Finland the war wasn’t some distant event. 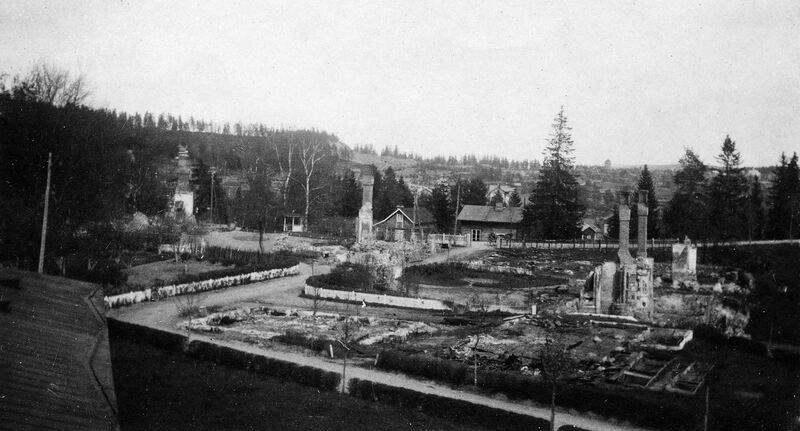 Russian forces, mainly paid Karelians, burnt and ravaged the areas of Ii and Kiiminki during the 1580s. It was in face of the destruction of his home area that Vesainen would raise up an armed militia to strike back. Leaving in early summer 1589, he led between 90-100 village men (Russian sources state as many as 900) to the White Sea, attacking several Russian and Karelian settlements along the way. They then attacked the town of Kandalaksha, burning down the monastery there and killing up to 450 people but before any Russian help could arrive the raiders had moved south. They advanced to Kem, a small fishing village, where they ransacked it before deciding to return home. The party returned by the coming of Fall with much loot. Vesainen returned to find his wife had been captured by Russian supported raiders and two of his children dead. It was this event that legend states inspired his second expedition into Russia. Fuel by the anger of his dead children and missing wife, he led a force of a few hundred men from Ii, Tornio and Kemi areas to the Kola Peninsular. Here he led an attack against the Petsamo Monastery on Christmas Eve 1589. The raiders took out their revenge upon the monks and laymen present at the Christmas worship, putting over 100 to the sword and burning down the entire complex before heading to the important trading town of Kola. Here they attacked and conquered the town, plundering and burning the residents. The militia force, full of rage, then attempted to take the Fort in the area. However the Russia forces, under command of a Voivode (A warlord), held out against the more lightly equipped Finns and soon Vesainen was forced to call a retreat. He returned in early 1590, having freed his wife along the way (but the stories aren’t clear where or when), and settled back into a peaceful country life. Later in 1590, legend says he was visited by King Johan III and presented with gifts for his services. However, Vesainen’s life wasn’t to remain peaceful for long, for another raid by Russians hit the Ii and Kiiminki areas. 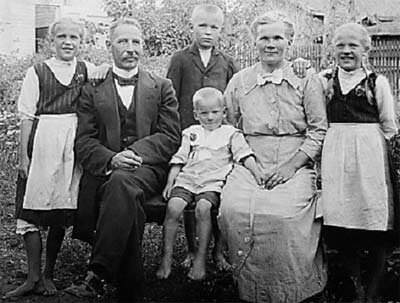 Vesainen’s family lost three more children to these raiders, breaking Pekka’s spirit. Due to his spot in antiquity, as well as residing in the more wild areas of Swedish rule, not much official documents are able to support much of the life of Pekka Vesainen. Outside of a couple of official tax documents, the majority of what we know comes from oral tradition. While oral tradition is an accepted part of historiography and helps us understand the importance of events within the context of anthropology, it can be highly questionable to rely solely upon it. This is due to oral transmissions within societies being subject to embellishment, twistings, and reflections of the current societal trends. But it shouldn’t be wholly dismissed due to the faults, but used in conjunction with the more confirmable information we have. Pekka Vesainen’s legend is one that sees more input from oral tradition. Thanks to a tax record of the Ostrobothnia bailiff in 1589, in which he collected some of the spoils from Vesainen’s expedition, we can at least confirm that he was involved in the incidents at Kandalaksha and Kem. The second expedition to Kola is one that has come under more scrutiny. Due to the closeness of the events and lack of corroborating sources, most modern historians believe that Vesainen wasn’t involved in this event but regardless of the truth, the legend has grown up around it. In the rise of Finnish Nationlism (Fennoman movement) in the 18th century, saw a rise of National Heroes from Finland’s past. These characters were romanticised in literature and used as examples of Finnishness and bravery against the invader. Vesainen’s story was elevated to the national stage in 1894 with the publication of ‘Juho Vesainen’ by Finnish Nationalist Historical writer Santeri Ivalo. From this point, Vesainen’s life became a symbol of the determination and drive of the Ostrobothnian people and in 1936 a large statue was placed at Vesala depicting the Militia leaders head. 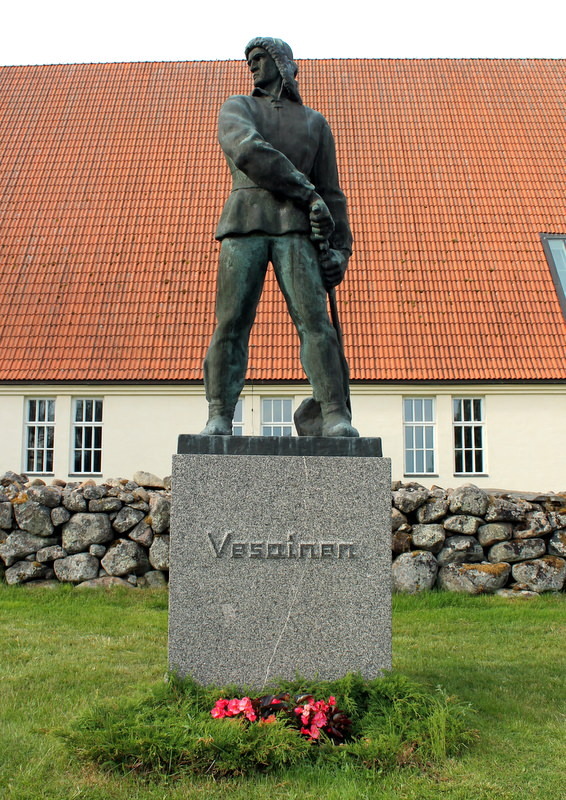 A road in the village was also named after him, and in 1940 a lifesized statute of Vesainen was erected at Ii’s parish church. At the conclusion of the Continuation War in September 1944, the Finns ceded a large part of Finnish Karelia to the Soviet Union in return for an armistice. This area included 3 cities, 2 boroughs and 39 municipalities as well as splitting 21 other municipalities. 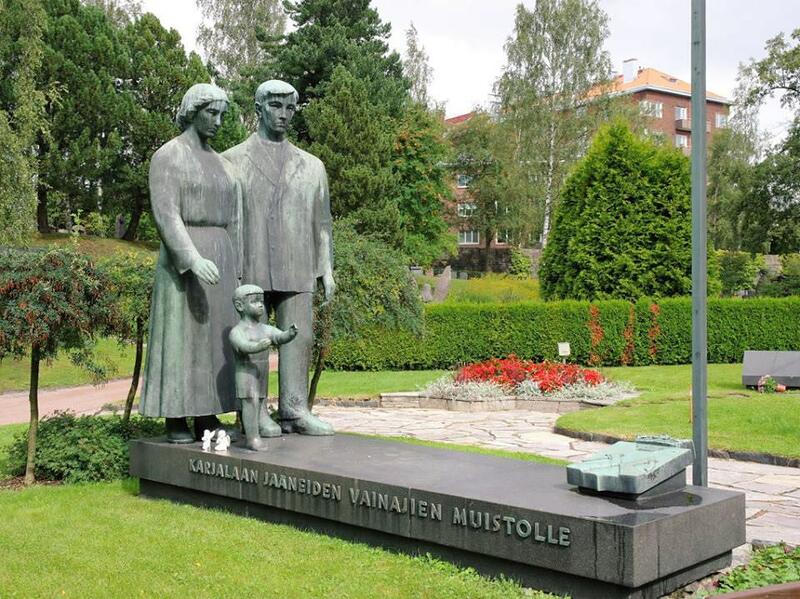 The Karelians and Finns of the area were given a choice, similar to the choice given at the end of the Winter War in March 1940, to either stay and become citizens of the Soviet Union or evacuate to Finland and be resettled. The vast majority chose to leave their homes and settle in Finland. Around 280,000 had to be rehoused throughout Finland (in 1939/40 around 400,000 left Karelia and when the Finnish Army retook their ceded areas in 1941 280,000 returned to reclaim their land). This meant leaving behind for good their roots, their ancestors, the graves and houses that had been in their families for generations. In the wake of the first evacuation in 1939/40, the numerous displaced Karelians sent 340 representatives to found an organisation on the 20th April 1940 that would monitor the interests of the displaced citizens, make sure that they were resettled and compensated quickly and that they would still be represented within Finnish Society as a whole. The Association has always pushed to keep the memory of the Karelia that was lost alive in Finnish culture and society, while still maintaining a sense of independent identity. When the hope of recovering Finnish Karelia was dashed in 1944, the group worked in the best interests of all displaced Karelians throughout Finland so that they were be treated equally and fairly, it also became a place to allow members to come together and maintain their links. Each kunta or municipality throughout contained a church that served that community. This included the burial of the deceased. Finnish culture is one that takes great care of its ancestors, where graves are lovingly tended over by families for generations and candles are lite at special occasions. As the over 400,000 displaced inhabitants of Karelia were now spread throughout, with very little to no chance of visiting the graves of their ancestors, an initiative was taken up by the Karelian Association. 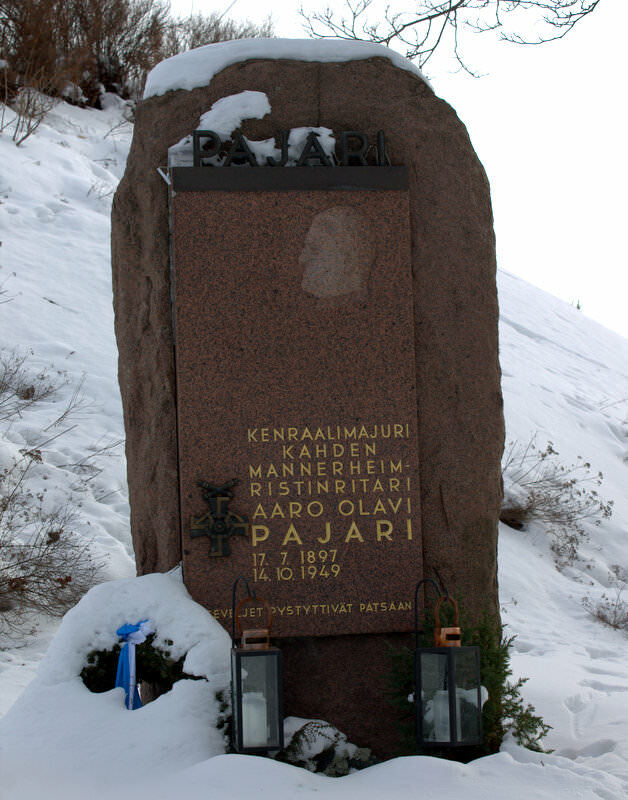 In 1951 the association approached sculptor Kirsti Liimatainen to design some memorials for the larger Karelian communities. 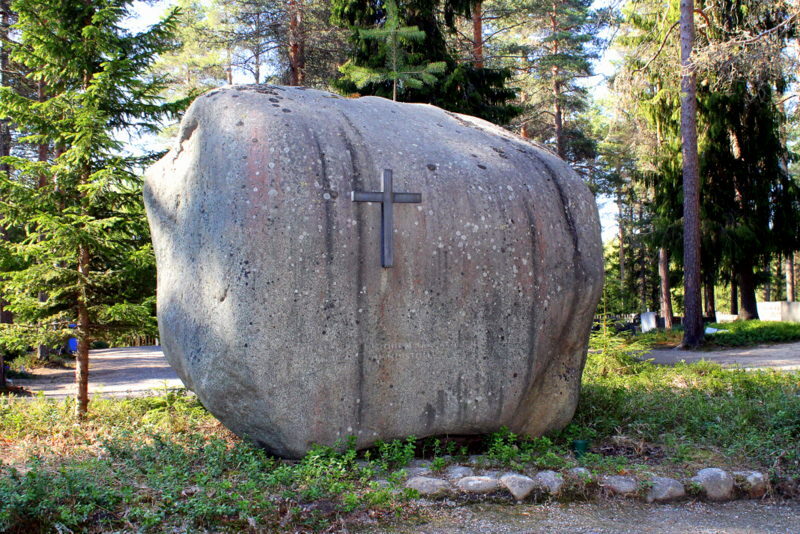 In 1952 the first of such memorials was erected in Humppila, these were soon followed by others in places like Kajaaani, Rovaniemi, Kauhajoki and Riihimäki. 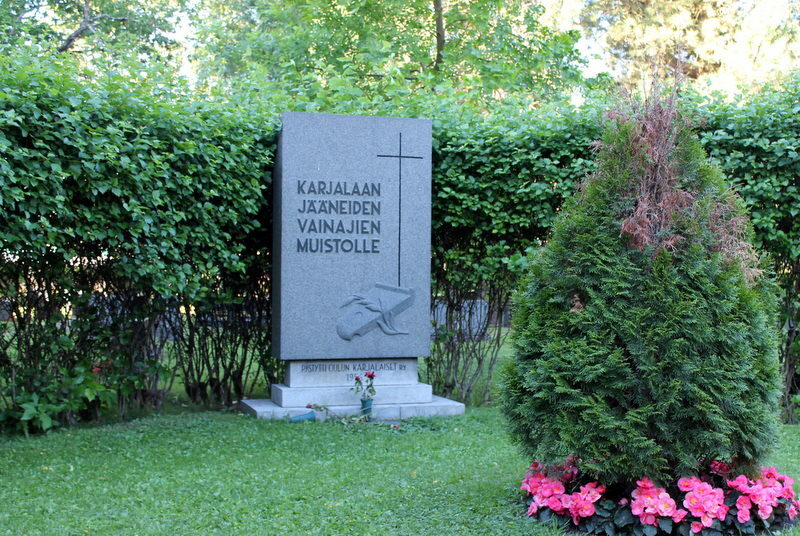 To date there is around 200 of such memorials around Finland, allowing Karelians and their descendants to honour their ancestors even though they cannot physically visit the graves. I will look more in depth at specific memorials in their own articles in future, but this was to give a small background to this little known but intimate piece of Finnish history. Back in January, Efraim Zuroff, an American-born Israeli historian and director of the Simon Wiesenthal Center office in Jerusalem, made a request to President Sauli Niinistö to open an official investigation into the roughly 1,400 Finns who voluntarily served in Waffen-SS to see if they were involved in any war crimes. However this request didn’t just appear unprovoked but due to the release of information by Historian André Swanström. 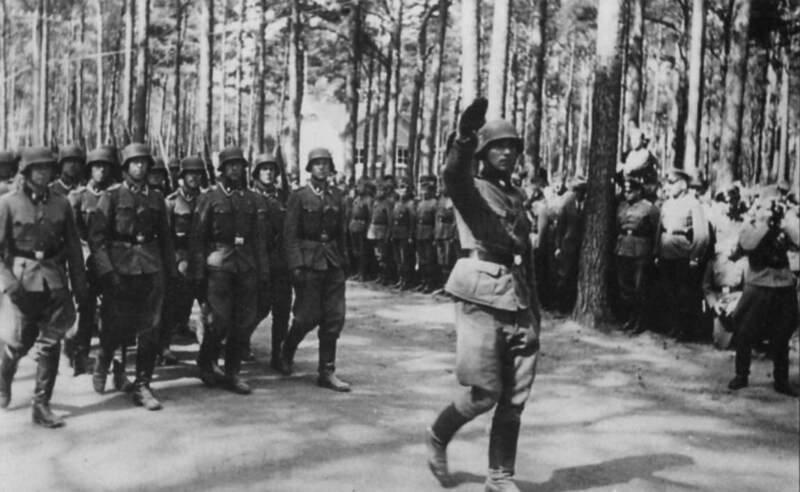 In 2017, Swanström, went on record declaring the vast majority of the Finnish SS men were fascists and that some had taken part in war crimes during their service in Ukraine from 1941 to 1943. His words caused a ripple of controversy in historical circles that were heard outside of Finland as well. It was from this that Efraim Zuroff was made aware of the discussion and formally requested an official investigation. After the conclusion of the Russo-Finnish Winter War in March 1940, Finland found itself in a precarious position. The Western powers had shown themselves unable to provide Finland with any legitimate support, Sweden had to look after its own (more so after the German invasion of Norway), and the Soviets (as victors) decided to put more pressure upon Finland. Also during this time Germany and the Soviet Union were joined together through the Molotov–Ribbentrop Pact, which had seen Poland divided between the two powers and the Baltic States fold to Soviet pressure and so Finland felt itself more isolated and against the wall. It was in this uncertainty that Finland found some support. Germany started making offers of military, economic and political support in confidence. One of these offers was for a group of Finnish men, similar to the 1917 Jaeger movement, to come to Finland and train in military matters. 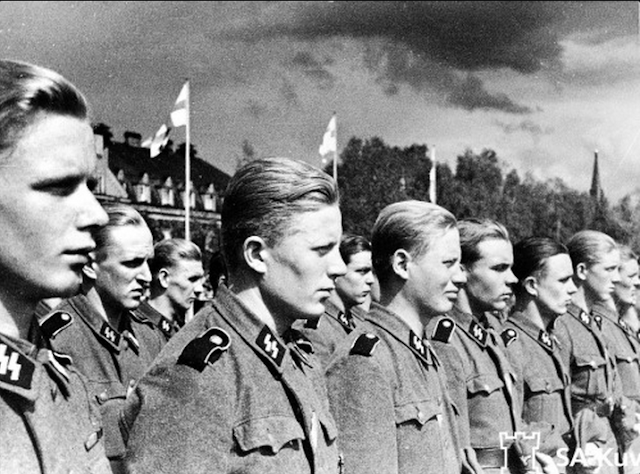 These men would fall under the administration of the Waffen-SS (the armed wing of the Nazi Party's SS organisation), serve a two-year contract, and would form their own Battalion within the 5th SS Division “Wiking”. Recruitment saw the German want a high percentage of far right members (over 60%) and to be racially pure (according to their own Aryan doctrine) but this wasn’t accomplished. 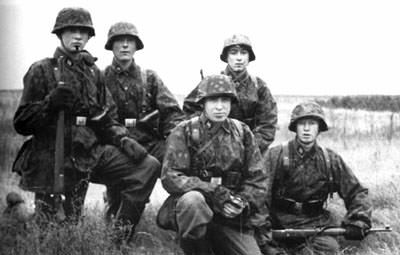 The Waffen-SS wanted to retain such valuable soldiers when their contract expired by Marshal Mannerheim forbid their reenlistment and the Battalion arrived home 2nd April ,1943 in Hanko. 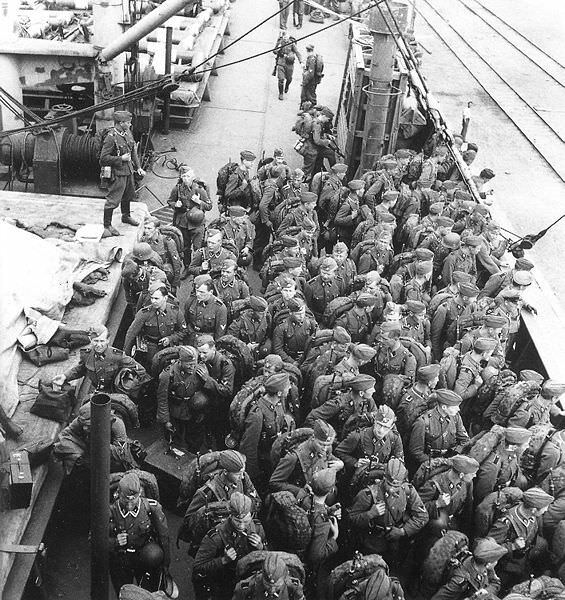 The Battalion was officially disbanded 11th July, 1943 and the men were then sent to various units within the Finnish Army. Did they commit War Crimes? Originally, the statement from historians and layman alike have been that the Finnish Battalion did not commit anything that would be construed as War Crimes. This statement is supported and traced back to the phenomenal work by Professor Mauno Jokipi. Jokipi is seen as one of the foremost Finnish historians on the Second World War and in 1968 he published the book, Panttipataljoona: suomalaisen SS-pataljoonan historia (I unfortunately have yet to read it as it is way passed my current abilities in Finnish). This 936 page epic is seen as the go to book for anything related to the Finnish SS men, Jokipi used records available from the Finnish National Archives, as well as material made available to him from the Veljesapu-Perinneyhdistys ry (the organisation set up to support veterans of the unit and their families, as well as provide information about the Battalion). Jokipi put out the statement that the Finnish SS soldiers did not take part in any executions of civilians but that some were eyewitnesses to these horrible acts. However this has been challenged by some, with Swanström being at the forefront. Swanström wrote in 2017 that Jokipi’s work is flawed and that he made a deliberate choice to select certain source materials over others. During his research, Swanström, came across a letter written by one member of the unit, Olavi Karpalo, who stated that ‘the executionof Jews is for those with poorer shooting skills that ours’. He postulates that Karpalo would not have written those words if he had not committed such acts. Karpalo, who had fought during the Spanish Civil War on Franco’s side, was frustrated that he had been assigned to a rear area vehicle maintenance unit, alongside 5 other Finns, while the rest were off getting glory. 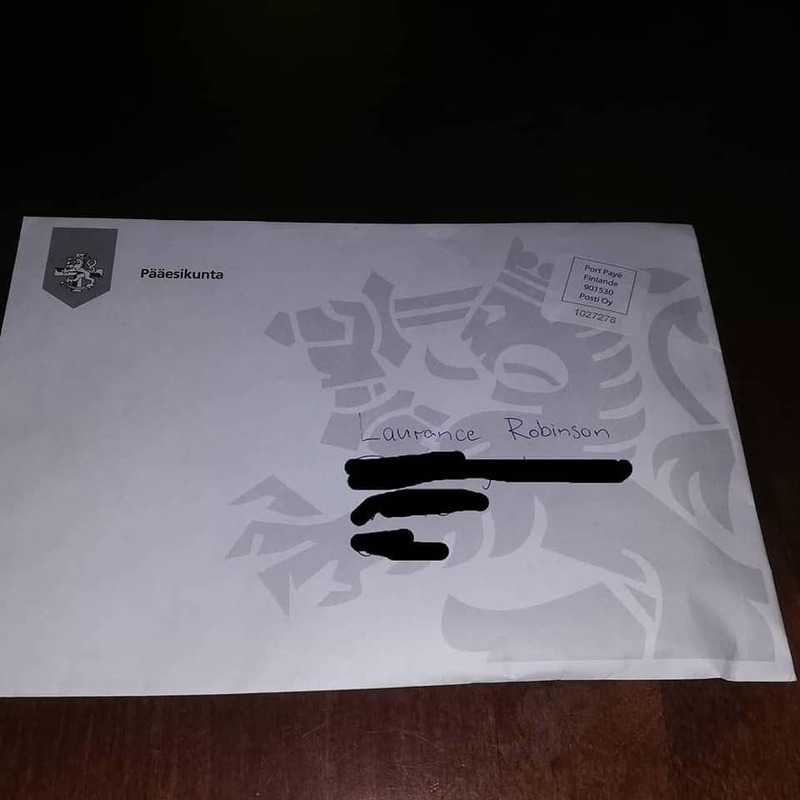 Swanström accuses Jokipi of having access to the letter but ignoring its contents during his research and that he has deliberately ‘hidden’ evidence in order to push a narrative. In light of the evidence that Swanström has brought forward, as well as those thoughts by other historians like Oula Silvennoinen and Marko Tikka, it is very possible that some Finns serving within the Waffen-SS committed war crimes. When news was released about the request for the investigation were published, and the follow up confirmation that the probe will go ahead, there was the expected reaction from the internet. Unfortunately there were far too many comments of an antisemitic nature which are not worth repeating or given more than just a mention here. There were, however, several comments proclaiming a historical revisionism in progress in order to push some political correctness agenda. Within recent years whenever a new book/article/lecture or academic publication makes a statement that challenges the status quo it is accused of Revisionism, and well they are right...to a degree. History is constantly in flux, we are uncovering new things about the past. When new things are discovered, the historical process takes over, where we see historians debate and challenge each consecutive hypothesis. This doesn’t mean that negative historical revisionism doesn’t take place, however in the academic world this type of revisionism is called Historical negationism or denialism and is done for mainly ideological reasons. It strives to muddy the waters of historical discourse for the masses and pass of their poorly supported evidence as honest revisionism. A few other comments I saw made attempts to deflect the discussion into points about Soviet war crimes and how those should be investigated (some stated before the investigation into Finns). However these comments are only attempting to put wrongness on a scale and fit it into a narrative. The following video by the brilliant TIKhistory channel explains why Historical Revision is not negative much better than I can. The need for an official investigate is paramount to Finnish history. 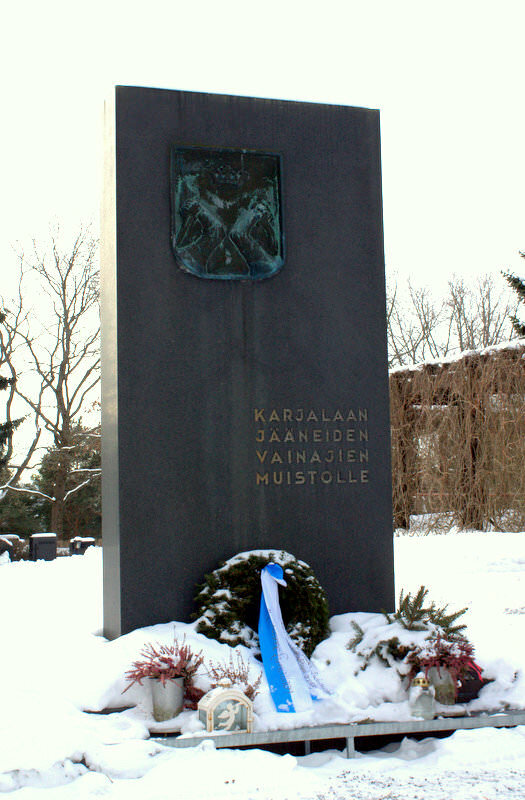 In 2003, President Halonen, after an official request by Simon Wiesenthal Center, launched a probe into the deportations of around 3,000 Soviet POWs to Germany. The project was undertaken by the National Archives and after several years a 568 multilingual report was published that showed how Finland’s treatment of Soviet Prisoners of War and Civilian Internees were not as up to par with International Law as first thought. All this stemmed from the research of Elina Sana. The report allowed for a more open and honest discussion on Finland’s role during the Second World War. Following the same light, an official investigation, using all the resources available (this includes archives outside of Finland, like Russia, Ukraine, Poland and Germany). According to a statement on the National Archives website, there will be a steering group appointed by the Prime Minister’s Office with members of the National Archives, the President’s and Prime Minister’s Offices. This group will oversee a project team from the National Archives and also use external experts as required. The project team will use any and all resources available to them in order to assess and evaluate evidence in order to present a complete study. The team will also work with Docent Lars Westerlund, who led the National Archives project in the 2003 study mentioned above, as well as the Prime Minister’s Office funded 2002 War Victims of Finland 1914-1922 Project database. His expertise will be much required during this delicate study. President of the Holocaust Victim Records Association, Docent Oula Silvennoinen. The investigation is reported to be finished by November of this year and will cost no more than 69,000 euros. Once the report is completed, the next stage will be to see if there is a need for any legal proceedings. 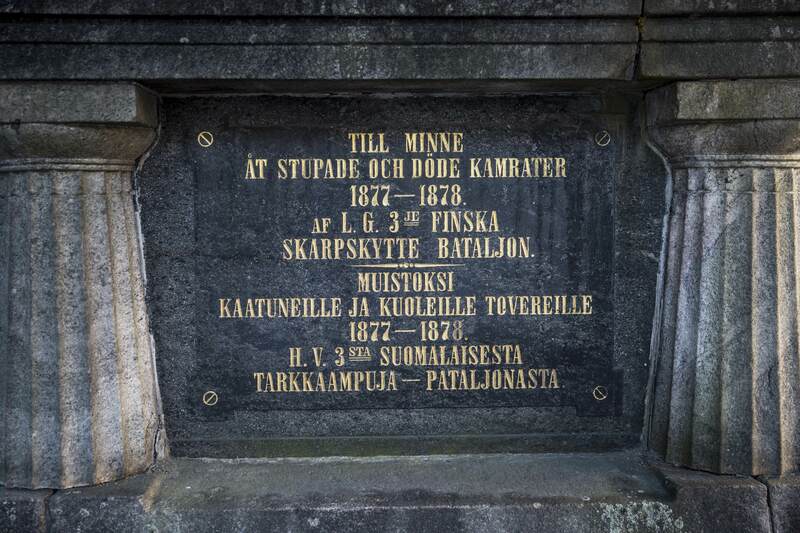 As Jussi Nuorteva of the National Archives said to YLE, "About 1,400 volunteers from Finland took part [in the battalion] and only about a dozen of them are still alive. The youngest of them were 17 when they enlisted and are now 95 years-old or older,”. This mean that the handful of SS men left alive will be of similar health to those of German and other SS soldiers who have recently been on trial in Europe.